Environmental filters act to limit the local community assemblage from the regional species pool by restricting the viable trait states that can occur there. In alpine snowpatches, the timing of snowmelt is a strong environmental filter. In coming decades, the strength of this filter is likely to relax with global climate change. We used three continuous plant functional traits (leaf area, plant height, seed mass) and their divergence (using the FDvar index) to document current patterns of community assembly and predict plant community responses to future environmental filters in alpine snowpatch vegetation. The community trait-weighted mean for leaf area and height, but not seed mass, was significantly higher in early snowmelt zones relative to mid and late melting zones across all snowpatches. Mean FDvar for height (but not leaf area or seed mass), by contrast, was substantially lower in early snowmelt zones, indicating that species growing in early melt zones are consistently taller than those growing in other zones. 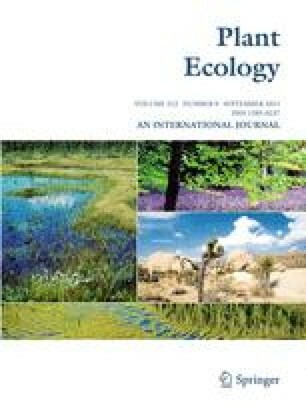 These results suggest that if climate change leads to earlier snowmelt and hence, a longer growing season, taller (more competitive) species with larger leaf areas (more productive) may replace short species in snowpatches as these plant communities re-assemble in response to changing environmental filters. Discussions with Margie Mayfield, Stephen Bonser, and Peter Vesk helped sharpen our ecological thinking. Sarah Fethers, Jo Palmer, and Erika Cross provided technical assistance. Four anonymous referees greatly improved early versions of the manuscript and we thank them for their input.